Bold and invigorating from start to finish. This medium to full bodied bordeaux blend offers sweet black coulis on the nose and an intense cherry-laced core with a whiff of mint to finish. 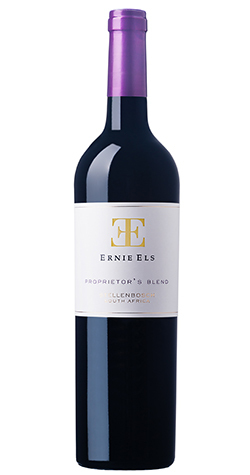 The distinctive Proprietors Blend is bold and invigorating from start to finish. This Bordeaux blend with addition of Shiraz offers a balance of seamless structure and elegant generosity. Notes of sweet black and blueberry coulis dance on the nose, and with time, floral aromatics are coaxed from the glass. Medium to full bodied, the intense cherry-laced core finishes with a whiff of mint and dried provencal herbs. The Proprietor's Blend is a blend of all the six varieties cultivated on the property. These vineyards grow on the warm north-facing slopes of the Helderberg region within the Stellenbosch appellation. All six varieties thrive under these conditions and deliver rich, full-bodied red wines. With an altitude of approximately 250 metres above sea level and the cooling influence of the Atlantic Ocean just 15 kilometres away, the ripening period is extended by up to 3 weeks. Grape bunches were gently destalked with a Bucher de-stalker and lightly crushed. On the sorting table, all excess stalks and rotten berries were removed carefully by hand. Fermentation took place in 7-ton, open-top stainless steel tanks with yeast WE 372 being added to the juice. The wines were pumped-over and punched-down manually 5 times per day ensuring maximum colour extraction from the skins. After primary fermentation the maceration period was 10 - 16 days before pressing. Each variety is maturated separately (micro-vinified) in oak barrels before blending and eventual bottling.